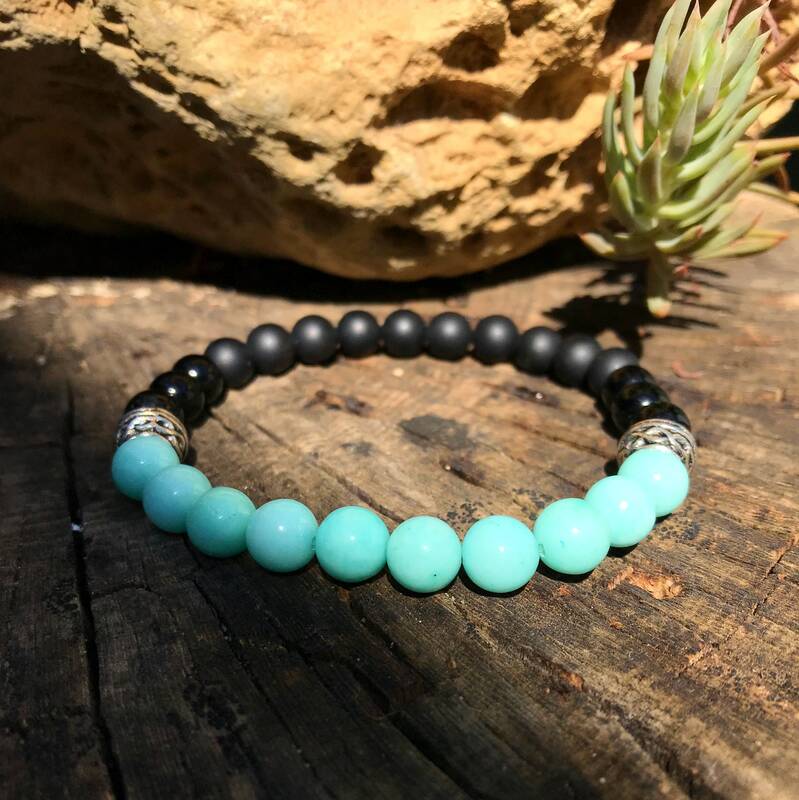 Men's bracelet with Matt Onyx beads (8mm), Gloss onyx (8mm) and Amazonite (8mm) with silver beads. Onyx is a variety of agate without streaks. It brings happiness alleviating worries and prosperity. Objective thoughts. Help in decision making. It gives strength and perseverance. Feldspar group, its color varies from bright green to bluish green.